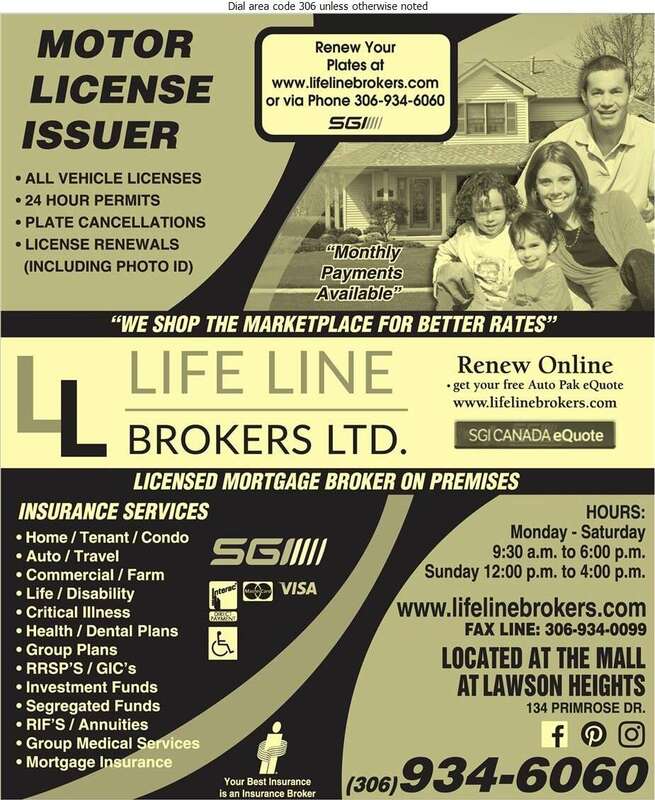 Life Line Insurance was the first life insurance brokerage in Saskatchewan and has been providing the best service in Saskatoon and Saskatchewan since 1973. The goal of our firm is to provide our clients with a wide selection of products and services that are of the highest standards, at competitive rates. We work to ensure that there are affordable options available to those who need them. Our in-house financial advisers will help you develop a plan tailored to your needs. We provide individual consultation and education as well as seminars. Life Line advisors can provide you with enough information so you can make an informed choice about maximizing your investments and RRSP's. Celebrating over 40 years in Saskatoon!